Putting the bloody puns aside this anime has quite a bit lacking in the "plot" department. That being said there are a fair handful of positives to note; particularly once it's understood that not only is this based on a mobile game, but it seems to be aware of it's origins. 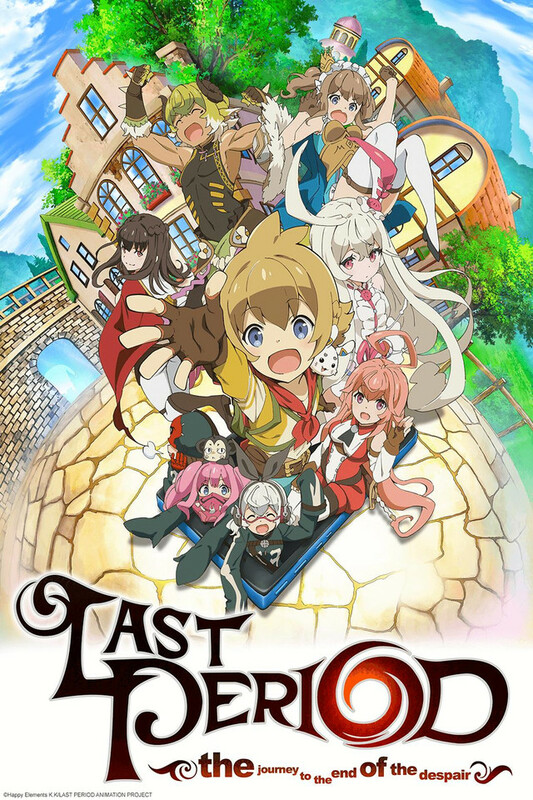 Perhaps I'm over-reaching in my assessment, but consider re-watching the first episode from this perspective: These aren't adventuring teens in a bland and cliche fantasy world but rather the avatars of bored and escapist fantasy addled adults playing a mobile game about adventuring teens in a bland and cliche fantasy world. In that regard it is not dissimilar from the standard "isekei" trope, save for the lack of doubled or overt narrative focus. I love the animation and character designs. That's about the only thing this show has going for them for the main characters. It has a very weak storyline and essentially never truly moves forward in character growth either. It doesn't explain much about the characters either. I gave up to save my sanity. After watching all the episodes I really do not feel strongly about this anime at all. The reason for this is that none of the characters really stand out or develop through the season. The story is pretty standard with the attempted twist really not delivering any impact to the show. The running gags were worth a chuckle, but that was about it. That said, it avoids being ranked anything less than a 3 since I never felt the urge to delay watching an episode when it appeared in the queue. It doesn’t try to be more than it is and stays consistent to its story.